Currently we offer free delivery to any location within 50 miles of our main location in Reseda California. For Shipping out side of this area please call us to arrange a suitable method of transportation. Unused and un-opened cans and buckets may be returned minus a 10% restocking fee. 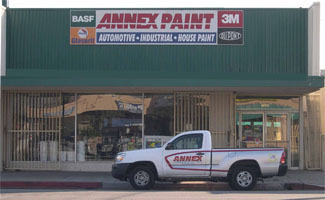 Warrantee issues and product failures are dealt with in person Monday through Friday during business hours; 8:00 a.m. to 5:00 p.m.
For further information you can contact the sales desk or call our sales manager Greg Saunders at 818-344-3000.